Security Token Offering is a serious business. The days of the ICO are over. These are clear messages not only from the SEC and other regulatory bodies but also from thoughtful and experienced professionals. The SEC, in particular, is delivering this message mainly through regulatory actions and the position of SEC Chairman Jay Clayton. Most recently, a federal judge ruled that the U.S. securities laws may cover ICOs, giving the Feds a much-needed victory in their battle against fraud and money laundering. Regardless of the nuances and the debate, what should be clear to issuers who have legitimate businesses or startup plans is that investors, as well as issuers, require protection. If anything, legitimate issuers should welcome such scrutiny and regulation which ensures the market is kept free of bad actors and questionable affiliations. 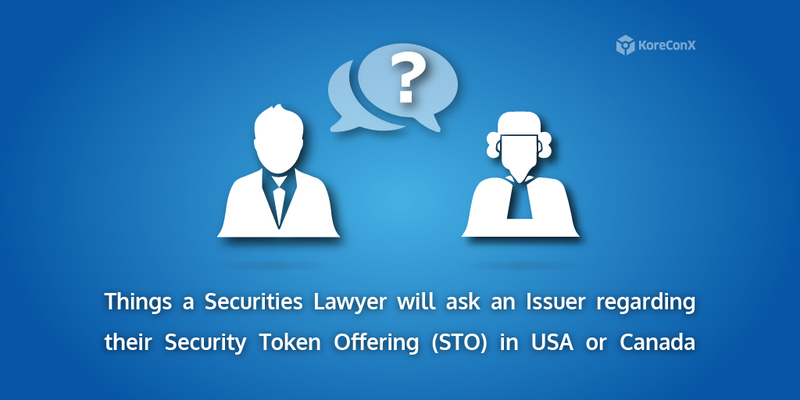 However, companies considering a security token offering need to be prepared to respond to questions that their securities lawyers will ask. To this end, we reached out to top lawyers to learn which information is crucial to them when a client reaches out for advice on their Security Token. The professionals that contributed to this list are Sara Hanks (CrowdCheck Law, LLP – USA); Ross McKee (Blake, Cassels & Graydon, LLP – Canada), Lewis Cohen (DLX Law, LLP – USA); Rajeev Dewan and Kosta Kostic (McMillan, LLP – Canada); Alessandro Lerra (Lerro & Partners – Italy), and Alan Goodman (Goodmans, LLP – Canada). Below is the list of items on which lawyers and other advisors will be focusing. There is no particular order, but you should be ready when contacting your securities lawyer or advisors to make sure you are prepared. This list is subject to change as the market develops. What jurisdiction is your company incorporated in and in what jurisdictions is your company doing or will do business? In which countries are you planning to offer your security token? Is the company already a public reporting issuer anywhere or are any of its other classes of securities already listed on an exchange? Will you be conducting a Direct Offering or a Broker-Dealer Offering? If you aren’t using a Broker-Dealer and you are selling to retail investors, how will you comply with the requirements of states that require you to register yourself as an issuer-dealer? Will this be for accredited investors only or will it also be made available to non-accredited investors? How do you plan to confirm or verify accredited investor status? How do you plan to confirm or verify investors are not on prescribed lists? Do you have a method to establish the suitability of the investment for an investor? What securities law exemptions do you intend to rely on for each jurisdiction you want to sell your security token? What documentation or certification will investors be required to sign? What is your investor record-keeping system and how do you plan to handle regulatory reporting of the distribution of securities tokens? What are the tax implications of the sale of the token for both the issuer and the investor? If ongoing tax reporting (e.g., FATCA) is required, how will that be handled? Which blockchain is the token going to be created on? Does the client understand the differences between public blockchains and closed or permission blockchains? Does the platform already exist? Do you know which Security Token Protocol you would like to use? Does the Security Token Protocol manage the lifecycle, custodianship requirements, and corporate actions of the security token? 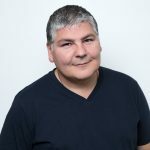 Does the Security Token Protocol have the capabilities to be managed by a regulated Transfer Agent? What level of assurance does the code audit firm give in terms of their work? Is the Security Token Protocol implemented on robust, highly-secure, and enterprise-class technology platform? Does the blockchain for the STO prevent cryptocurrency fraud, unauthorized mining, and forking? Does the blockchain for the STO provide guaranteed legal finality for securities transactions? Does the blockchain for the STO provide for recourse with forking or technical intervention in case of errors, losses, or fraud? Is there a utility element in the token? Is the security token coupled with a cryptocurrency? Does the blockchain have a well-defined and published governance model, and are you confident that the governance processes and governing entities are credible? Does the blockchain have adoption and recognition from financial institutions? What is the stated purpose of the offering and what is the business of the issuer? Is the number of tokens fixed or unlimited? Is there a release schedule for future tokens? How many tokens, if any, are being retained by management? How many security token holders do you expect? Are you aware of the requirements for a Transfer Agent? What are the rights of security token holders? Wind up the business?Will the purchasers be seeking a return on their investment or are they buying the token for other purposes? What is the exit strategy for the company? Does your company currently have a Shareholders Agreement? Does the company have a board of directors? Do you have financial auditors? Do you intend to list the tokens on any secondary markets and are those markets in compliance with regulatory requirements that apply to securities exchanges? Following issuance of the tokens, are any lock-up periods required or advisable with respect to the token? Are there any requirements that the tokens may only be traded with persons in (or outside) certain jurisdictions? Once any lock-up period has concluded, where will the tokens be able to trade? How will any applicable resale restrictions be implemented and complied with? How will subsequent sellers and purchasers of tokens be made aware of these resale restrictions? How are any requirements for the tokens to trade on a given market or alternative trading system being handled? Does the company intend to provide ongoing reporting to investors and if so, how will that be handled? Will the blockchain be used to facilitate any additional levels of transparency? Do you know what limitations on communication or other requirements (such as legending or delivery of an offering document) apply to social media communications? Are you planning set up a “bounty” or similar program that offers free tokens? Will you be using airdrops? How are recipients selected and what do recipients need to do in order to receive airdrops? Have you made sure the airdrops comply with applicable securities law? Has the whitepaper been released? Does the whitepaper include a clear business plan? What statements, representations, or comments have been made by management in the whitepaper, any other publication, or orally, about the future value or investment merits of tokens? Should the whitepaper be characterized as an offering memorandum and if so, does it have the prescribed disclosures and notices? We hope this can assist you in preparing for your security token offering (STO). Obviously, for those who have already raised their money, tokenizing their securities will require some of the same questions. Terrific work, Oscar! Putting this all together in one place is a huge help. Here’s an addition to your fine list: a business plan. Issuers are going to do something with the finding they raise – almost always that’s some business, that ought to be fully described to investors along with the white paper.